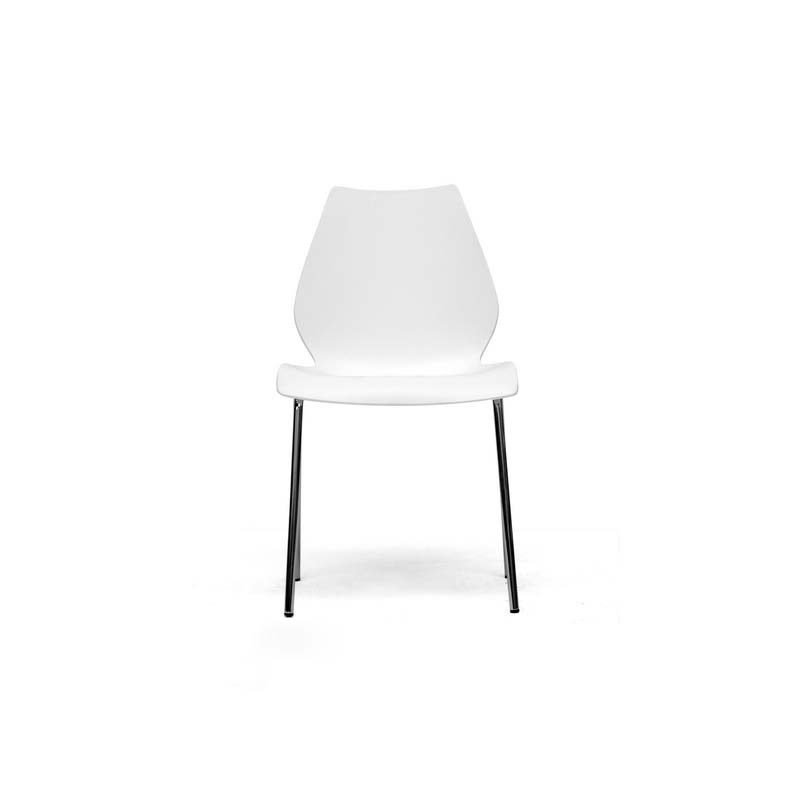 More on the Wholesale Interiors Overlea Modern White Plastic Dining Chair DC-7A-white below. Make an unforgettable statement with simplicity by adding the minimalist Overlea Chairs to your dining area. 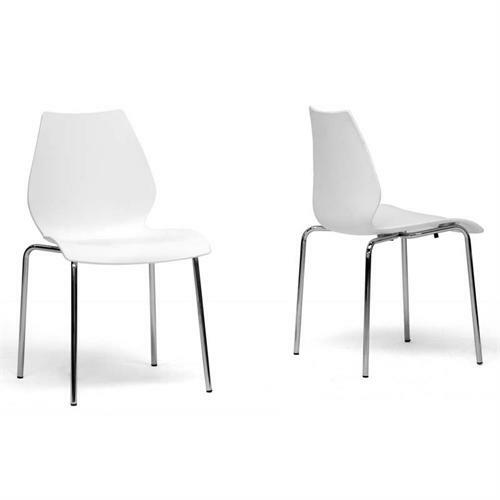 These clean, elegant seats are stackable, making them perfect for small spaces or entertaining. 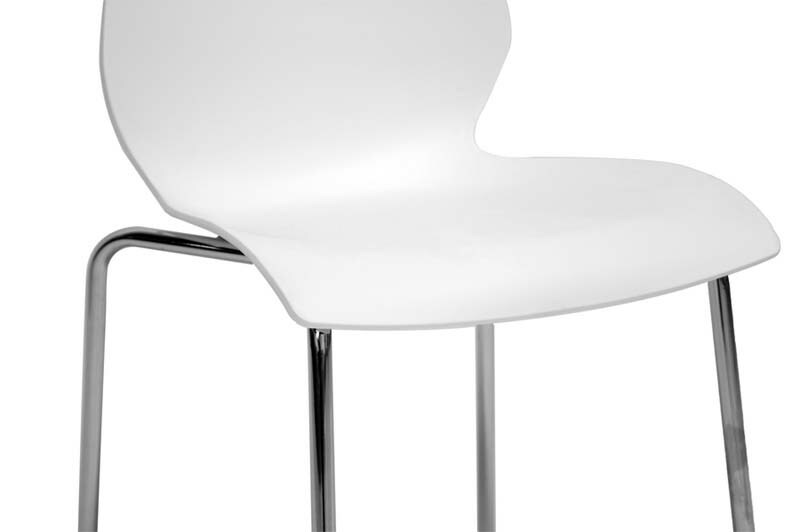 The seat is constructed of single-mold white plastic and comes with a base made of chrome-plated steel and non-marking feet. The chairs are fully assembled and sold in sets of two.